Chinese 'Ivory Queen' Sentenced To 15 Years In Jail In Tanzania Yang Fenglan, who has lived in Tanzania on and off for decades and operated a Chinese restaurant, was found guilty of working with two Tanzanian men to smuggle more than 800 pieces of ivory. Yang Fenglan, shown here in November 2016, has been found guilty of smuggling hundreds of elephant tusks. A convicted Chinese trafficker known as the "ivory queen" has been sentenced to 15 years in jail by a Tanzanian court. Yang Fenglan, who has lived in Tanzania on and off for decades and operated a Chinese restaurant, was found guilty of working with two Tanzanian men to smuggle more than 800 pieces of ivory between 2000 and 2004, as Reuters reported. Yang and the men – Salivius Matembo and Manase Philemon – were convicted of "leading an organised criminal gang," according to the wire service. They have denied the accusations. She was initially arrested in 2015, following what the BBC termed a "high speed car chase" with Tanzanian authorities. Investigators say Yang "was a key link between poachers in East Africa and buyers in China for more than a decade," the broadcaster reported. China has been a major driver of demand of ivory, which has been disastrous for Africa's elephants. A recent major census of the African elephant population found that it decreased by nearly a third between 2007 and 2014. China started banning the domestic sale of ivory in 2018 after pressure from environmental groups. This particular case "was viewed as a major test of Africa-wide efforts to hold key trafficking figures accountable for the mass killing of elephants to supply ivory to illegal markets, including in China," as The Associated Press reported. Wildlife conservation groups largely praised the sentencing. "The government is taking wildlife trafficking very seriously, and an attack on Tanzania's wildlife is seen as an attack on Tanzania," said Krissie Clark, the executive director of The PAMS Foundation, a group focused on Tanzania. "Congratulations Tanzania!" But some think it didn't go far enough. "(It) is not punishment enough for the atrocities she committed, by being responsible for the poaching of thousands of elephants in Tanzania," WWF country director Amani Ngusaru told Reuters. "She ran a network that killed thousands of elephants." Prior to her arrest, the China Daily ran a profile of Yang, saying she started studying Swahili in college in the 1960s and later worked as a translator for Chinese experts working on the construction of the Tanzania-Zambia Railway. She eventually opened a restaurant and ran an investment company on the floor above it. "I was not and am still not a typical businesswoman," she told the newspaper, touting her role helping Chinese companies pursuing business in China. "I know I should have retired, but whenever I think that my language advantage and network can help many Chinese and Tanzanians and increase mutual trust and confidence, I do not want to stop." 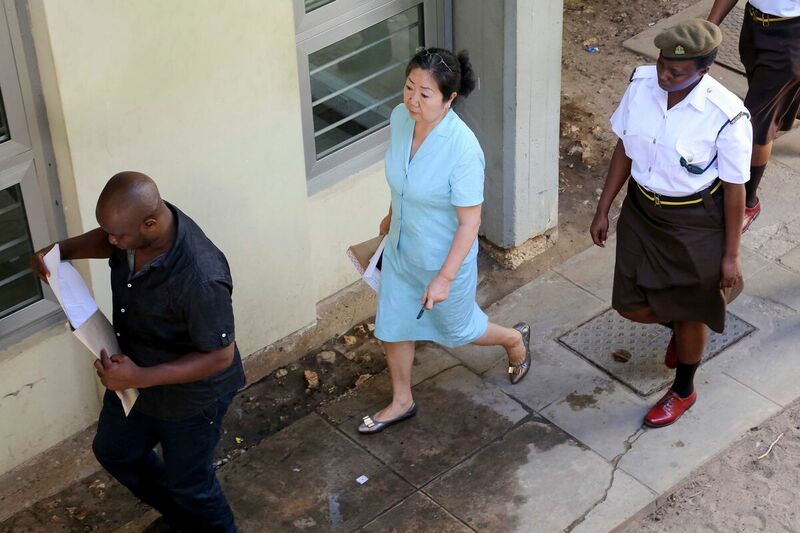 As Reuters reported, Yang is expected to serve her sentence at the Ukonga prison in Dar es Salaam.